The simple way to create your own beautiful iBooks, right on the iPad. Read them in iBooks, send them to your friends, or submit them to the iBookstore. Ideal for children’s picture books, photo books, art books, cook books, manuals, textbooks, and the list goes on. 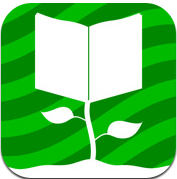 ‘eBook Creator’ is a simple and easy ebook creation application. It's interface is designed for all ages and skill levels so that young kids are able to make ebooks using the app. 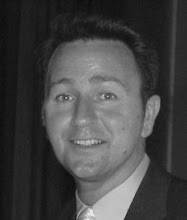 Good quality ebooks using the image brightness/contrast adjustment, voice recording, background musics, etc. An easy way to make custom epub books. A book maker for specifically for iPad. 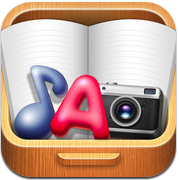 iPad users now have the ability to easily create and export their own custom photo books directly from their iPad. With eBook Magic’s easy-to-use interface, users can quickly place photos on pages, add text, and share with their friends in minutes. 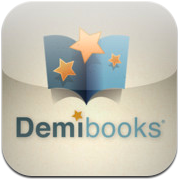 Demibooks Composer is the first iPad-based authoring software for creating interactive books. Composer is affordable, versatile and incredibly easy-to-use. 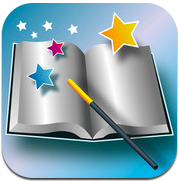 Create your own book apps with realistic physics, animation, sounds and visual effects. Share your stories with your friends via Composer or publish your book app back to the App Store! Now you can help your child's creativity grow with Story Patch, a beautiful new application for the iPad that children can use to create their own picture books. With hundreds of included images, easy-to-use controls, and the ability to import photos, your kids will be creating stories in no time! 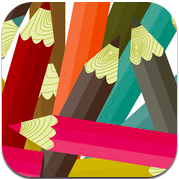 And thanks to Scott Meech for letting me know of another great App to include - Creative Book Builder. Creative Book Builder enables everyone to create, edit and publish ebooks in minutes. Creative Book Builder can import document from Google Docs and parse HTML output into chapter. Create unlimited number of chapters add title, description, images, videos, audio recording, music, links, and lists. 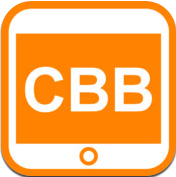 CBB lets you sort your content's ordering within a chapter and customize your cover image. You are missing the best one yet. Creative Book Builder is great. The single best feature is Google Docs import. Amazing.I really like this Creative Book Builder.Thanks for the tips!